Hi All! It's the 15th of March and time for a new Curtain Call Inspiration Challenge - Fluff. I hope you get a chance to play along. The LEAD of this challenge will be invited as a Guest Designer in a future challenge. 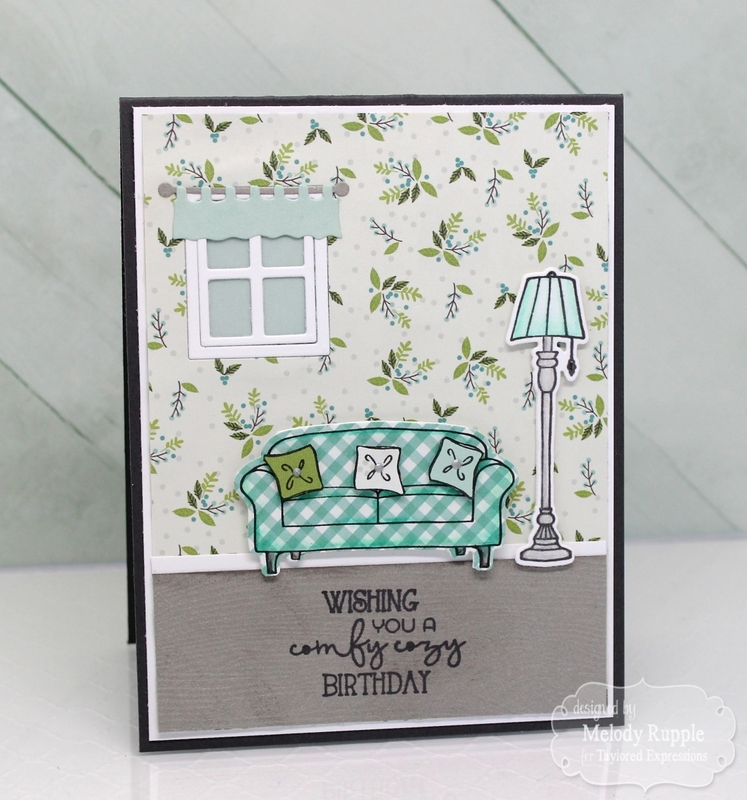 I took inspiration from the pillows and created this card with the Sit & Chat Stamp Set from Taylored Expressions. The couch and lamp are die with the Sit & Chat Dies. 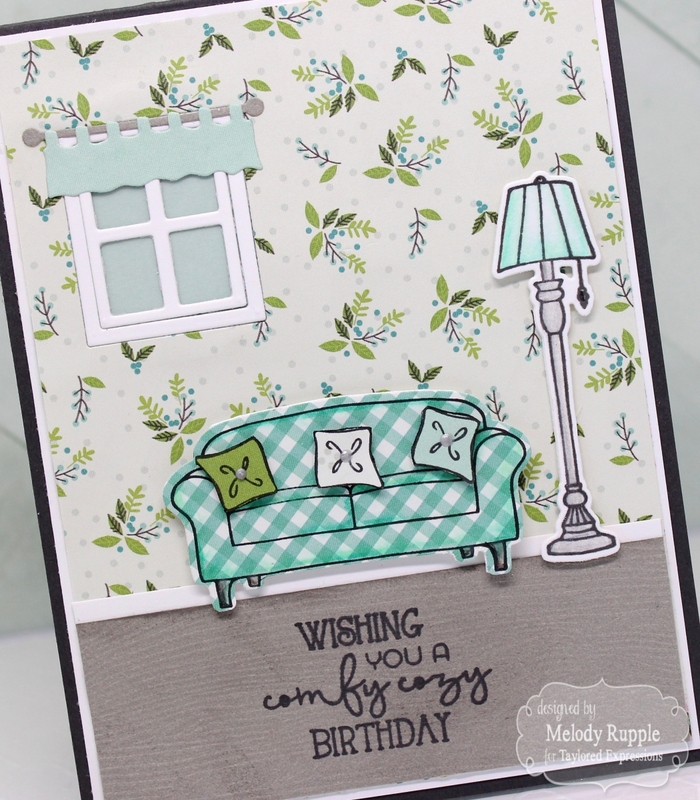 All the patterned paper is from the Simple Stories 6x8 Paper Pad - Domestic Bliss. I created the window in the card with Build a Scene - Window Die. The sentiment is from the stamp set. 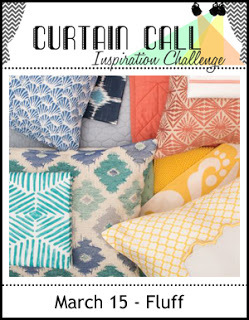 Stop by the Curtain Call Inspiration Challenge: Green for the challenge details and to play along with us! This is adorable, Melody! I love the soft colors! Oh, how cute. So comfy and cozy. This is perfect! Fabulous take on the inspiration photo! Oh, how pretty. What a great card Melody. Love the different patterns and the whole scene. That cough looks so comfy! Such a sweet scene!! LOVE your wallpaper!! 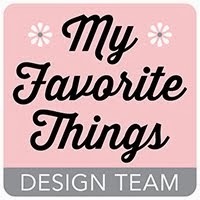 Welcome to my blog, a place to share my creativity with ink, paper, stamps, and more! Pretty Pink Posh Blog Hop!! 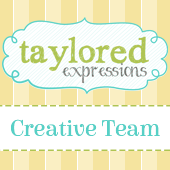 Taylored Expressions March Sneak Peeks Day 2! All content, including photographs, text, and design work, is © Melody Rupple. My work and ideas are for personal inspiration only. Please do not copy for the purpose of publication, contest submissions, or use for profit. Thanks for your support! Where I spend my money!